Probably one of the earliest and most thoughtful explorations of learning outdoors came from Henry David Thoreau. Thoreau combines the practical and the philosophical in his Walden project. While exploring the contrast between civilization and nature, Thoreau looks for the mediating category at the intersection of these different contexts. Thoreau, in his Walden project, sought not to prove a known conclusion, but to test an idea, to explore … to live an independent and thoughtful life through his own deliberation. Yet Thoreau also returned regularly to his home and family’s business. He moved between these different contexts, and learned by immersing himself in the outdoors, deliberately removing himself at regular intervals from town life. 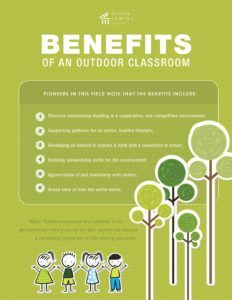 In contemporary contexts, outdoor classrooms provide the connection between natural settings and more traditional learning environs. An outdoor classroom takes what the child learns from conventional curricula within a school classroom and integrates it into the messy, hands-on world, one which is chaotic, imperfect, challenging, and vast. Recent research links outdoor classrooms, and other forms of nature-based, experiential education, with significant student gains in social studies, science, language arts, and math. Additionally, an outdoor classroom often fosters inclusive social dynamics among children, regardless of gender, race, class, or intellectual ability. 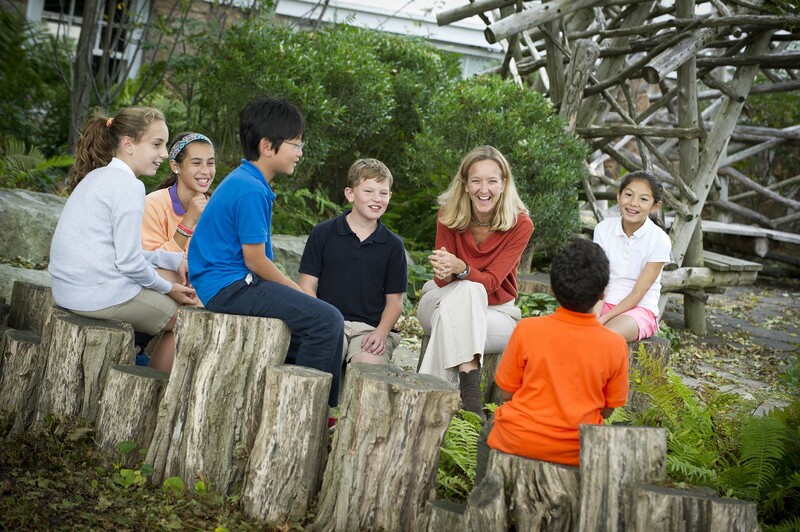 The outdoor classroom is built upon the needs of children. It offers activities that are meaningful to them. It encourages personalized, freely-invented games and interactions that grow out of children’s curiosity and creativity. By weaving environmental engagement into the fabric of existing facilities through outdoor classrooms, teachers can help students develop a deeper understanding and respect for their connection to the natural environment.